Baar Baar Dekho critics special screening has been done and its releasing on over more than 2300 screens around the India. The film was successful in creating a good buzz around the corner with Kala Chashma and Teri Khair Mangdi songs. 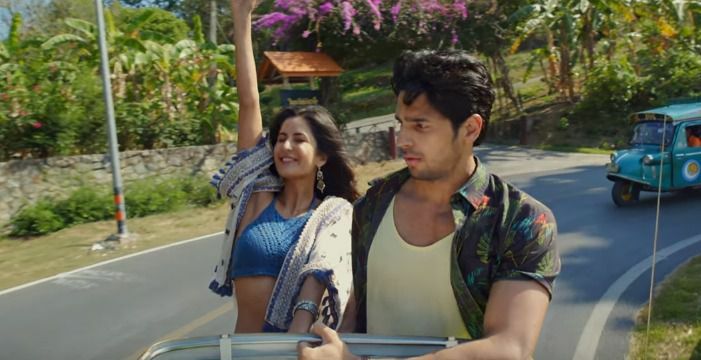 Baar Baar Dekho remains to be a comeback story for fame actress Katrina Kaif who is going through low time in her career, after giving a blockbuster flop films like Fitoor. Dhoom 3 and Bang Bang. No film remains on a point where it was praised by box office and critics at the same time. Baar Baar Dekho critics inputs would be taken at this stage as they are somehow going to decide the fate of movie. So far, we have came acrossed 3 reviews from well established brands in the industry. As per our current analysis, BBD shouldn’t be missed this weekend. More reviews will be added soon. Reporter Times: Romantic scenes between Katrina and Sidharth are perfectly and timely shots. Foreign location always works as a cheese over pizza. The movie is definitely worth watching and way better than last two films of Katrina Kaif. Storywise, first half is not much stronger than the second one. The most important thing, Out of the box thinking of Nitya Mehra should be appreciated to do definite efforts in keeping the originality. The release time of the film is also perfect as film might not face any type of competition from Freaky Ali. The movie will do an approximate business of 80 crores Worldwide during the entire running period. Kamaal R Khan – KRK: Average film, The film is basically for the audience who assumes themselves illegitimate child of Britishers. The movie will be a definite flop in single screens, however it could work on Multiplexes and PVR’s well. However, a part of audience will love to watch the movie for ‘Kala Chasma’ song. Last 10 minutes are awesome. Gulfnews: Correct me if I am wrong, but sometimes it helps to have two divine-looking people in a frame. They look fetching together and it sometimes glosses over some glaring over-the-top twists. This is no baar baar dekho, which means to watch again and again. Reserve this for a one-time watch.